You may recall that as the Obama administration rolled out the news that it had negotiated a “deal” with Iran to curb that country’s burgeoning nuclear program, reports surfaced that the White House had approved the payment of what can only be called a ransom to the terrorist-sponsoring regime. No, it wasn’t a “ransom” paid to convince Iran to release four Americans it was holding hostage. But, strangely enough, the first installment of some $1.7 billion Obama eventually paid the Iranians arrived in cash, stacked on pallets in the back of a cargo plane that was delivered in the middle of the night. The administration said the money was to settle a 40-year-old debt over a failed arms deal that went south after the fall of Shah Mohammad Reza Pahlavi in 1979. Whatever the case, then-Secretary of State John Kerry later admitted “some” of the money would go to fund Iran’s terrorist activities. But some would also go to fund the nuclear program the Iranians are still secretly building. 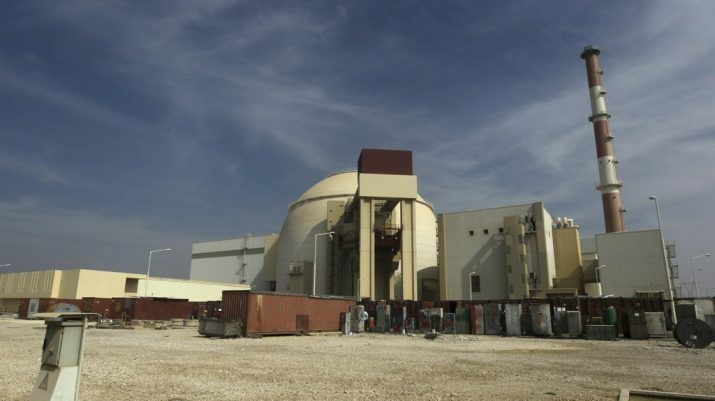 Having helped Iran keep its nuclear program funded, the Obama “deal” and resulting financing through direct payments and sanctions relief made it possible for officials in Tehran — including Supreme Leader Ayatollah Khamenei — to declare their intention of beginning the enrichment of uranium once again (if they ever really stopped). Last month, President Donald Trump announced he was pulling out of the Iran deal — which he claimed was “terrible” during his 2016 campaign — because after giving the Europeans and Iran more than a year to fix problems he saw as detrimental to the United States, they failed to get them addressed. European countries have vowed to continue ‘honoring’ the original deal even as they continue their dialogue with Tehran, seemingly undercutting the U.S. — the country that continues to keep NATO afloat and a credible deterrent to a revisionist Russia. Mind you, Khamenei said last month that the original nuclear deal would remain in effect only if European signatories rolled over and permitted Tehran, without question, to continue its ballistic missile development and its support for various terrorist and militant proxies in the region, including Hamas and Hezbollah. 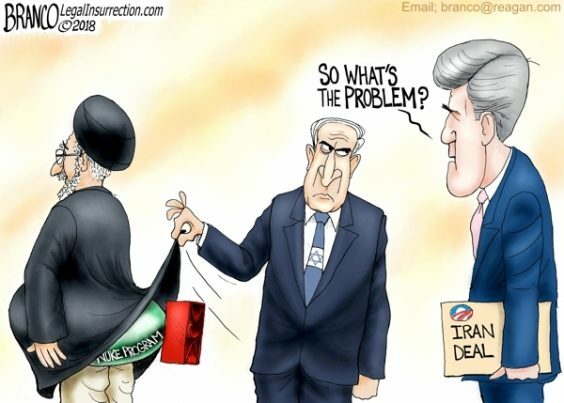 Needless to say, the Israelis aren’t happy about Iran’s thinly-veiled threat to restart the uranium enrichment process that Obama’s payments kept alive. “If the Iranians don’t surrender now, and try to return” to un-monitored uranium enrichment, “there should be a clear statement by the President of the United States and all of the Western coalition” that “if the Iranians return” to uranium enrichment that eventually gives them enough fuel for a nuclear bomb, “a military coalition will be formed against them,” Israel’s intelligence chief, Israel Katz, said. No wonder the Israelis didn’t think much of Obama. Read more about the potential for World War III at WWIII.news.